Yes, you read that right: Aston Martin is making an SUV. Its name has been confirmed as the DBX, and is set to go on sale in 2020. You might be thinking that an Aston Martin SUV just doesn’t make sense, but it could just be one of the most significant cars they’ll ever build – from a money-making perspective at least. We’ve known the brand has been planning one since it first revealed the DBX concept back in 2015. 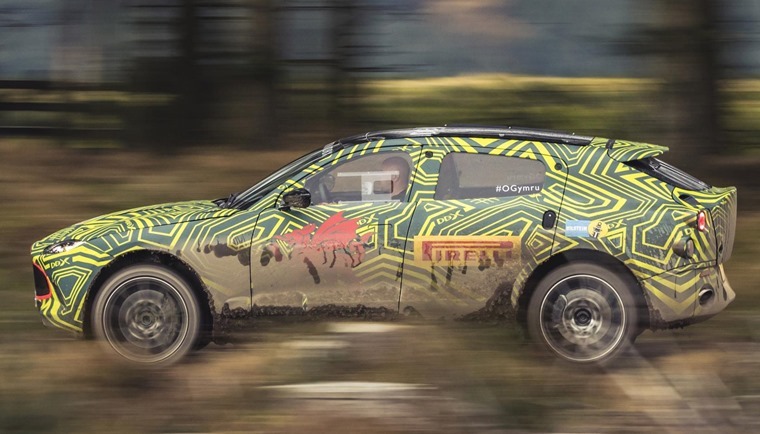 But testing for the production variant is now underway and, even under camouflage, it’s clear it is significantly different by design to the Geneva concept. While the pics don’t give too much away, from the front it’s clear the DBX will get the same face as the latest Vantage, while the rear is dominated by a swooping steep boot lid – ensuring despite its size, it’ll remain firmly coupe-shaped. That huge shoulder line is unmistakably SUV-like, though, and is a reminder that it’s up there with the Rolls-Royce Cullinan and Bentley Bentayga in terms of size, at least. Underneath, it uses the same basic architecture as the upcoming Lagonda, but unlike the saloon it won’t feature electric propulsion – at least at the start. Instead it’ll likely launch with either a V8 or V12 from Aston Martin’s current range – the former of which is actually a Mercedes-AMG unit at heart. 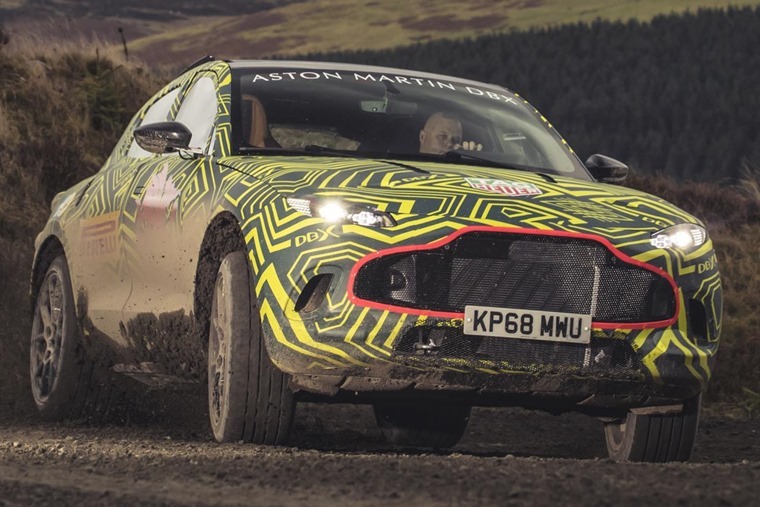 Aston says that the unique nature of the DBX means it requires a dedicated test programme – hence the off-roading session in deepest Wales pictured here. 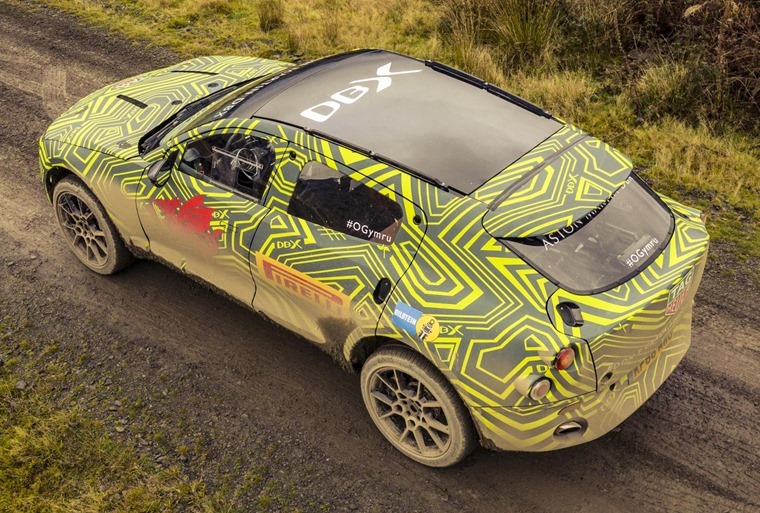 Speaking of his drive in the DBX development prototype, Aston Martin chief engineer, Matt Becker, said: “We have already developed and tuned DBX in the driving simulator, which has enabled us to make excellent progress in advance of the first physical prototype cars being available. Still, it’s always a big day when you get to put the first actual miles on an early prototype and I’m delighted with the near perfect correlation between the simulator and this prototype. Set to be built at Aston Martin Langonda’s St Athan facility, the finished product will be unveiled during the last quarter of 2019, with deliveries set to begin in 2020. We’ll bring you more info as soon as it’s revealed. Feeling flush? You can check out Aston Martin lease deals by clicking here.